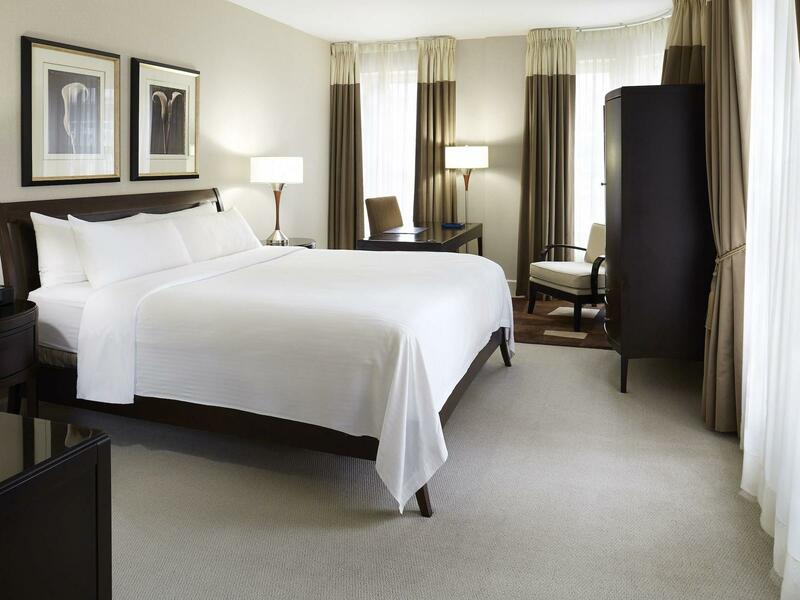 Spacious guest room featuring a queen sized plush pillowtop bed. 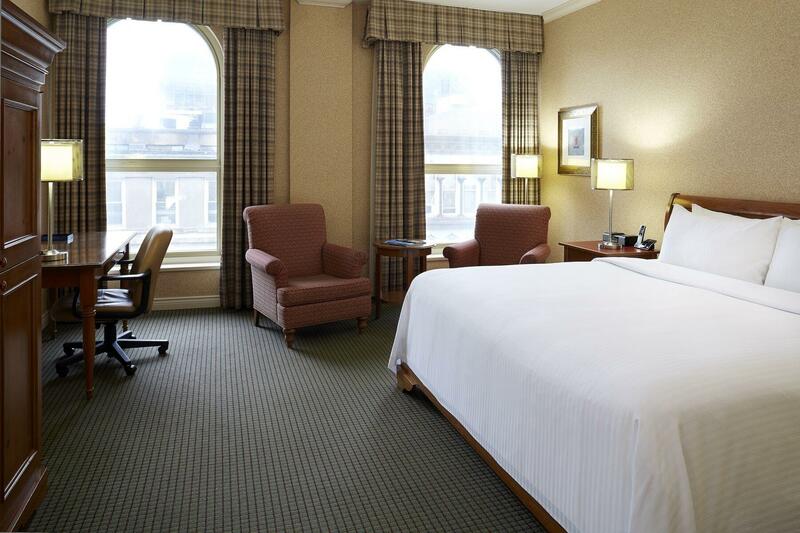 Enjoy the complimentary Wi-Fi while watching your 32-inch flat screen TV including cable and pay-per-view movies. Featuring city views, writing desk, oversized chair and the convenience of a mini-fridge and in-room coffee maker/tea service.